I use a number of different techniques to create my fiber artwork. My stitched paintings are designed from a combination of hand-dyed and painted silks, layering and free-motion and bobbin machine embroidery. Painterly effects are created by thousands of stitches. 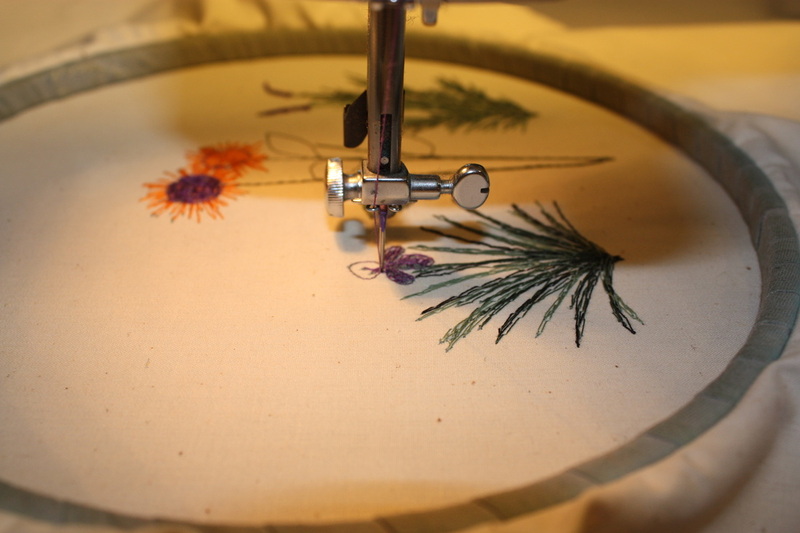 Texture is achieved by moving the the fabric under the needle. 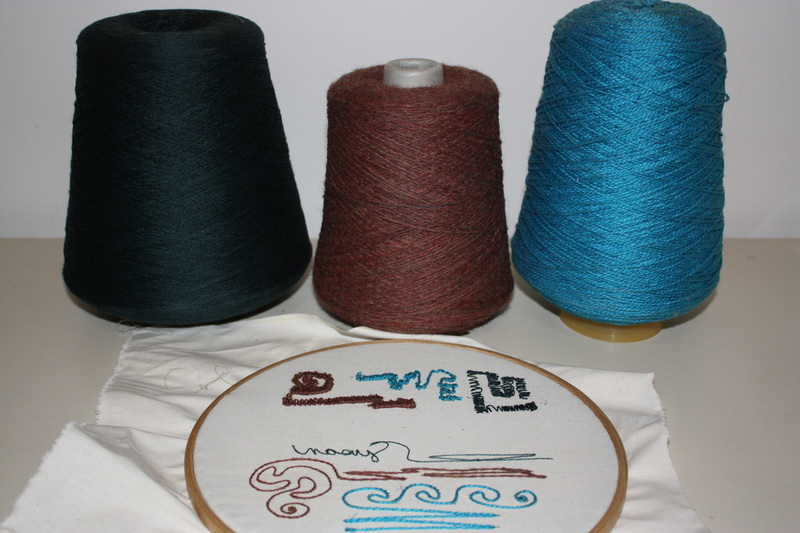 Layers of threads and yarns provide rich color and depth. The union of color, texture and image results in strikingly unusual stitched paintings. I use my forty year-old (non-computerized) sewing machine as a drawing tool. 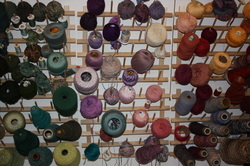 I blend and mix colors by layering threads and yarns. The way I move the fabric and adjust the stitch width allows me to create different types of stitches and effects, and enables me to truly draw and paint using the sewing machine as a somewhat noisy paintbrush. Typically, I do not draw on the fabric other than with the thread. I have a photo next to me as a reference as I work. Bobbin embroidery involves the same basic technique, with the notable exception that I work the piece from the back side of the fabric, reversing the image, so that the front of the fabric will show the threads and yarns that were in the bobbin. My paintings in fiber are a combination of dyed and hand-painted silks, layering and needle-felting. I incorporate small pieces of different weaves of pure silk to “paint” the image. Each shade of color in the artwork is produced by a different piece of fabric. Then, using a barbed needles, I assemble the work without the use of adhesives or stitching. Free-motion machine embroidery and bobbin embroidery add additional texture and rich color. The imagery in my work is inspired by local gardens, including my own, the gardens of friends, and favorite parks. Most of the paintings in fiber are stretched, matted with rag matboard and framed. Most pieces are framed with aluminum sectional moulding in a either black or a neutral metal color called Old World Pewter. The artwork is framed behind glass to protect it. Very large pieces have wooden frames and UV acrylic glazing rather than glass. Birds are mounted on a black background and framed with a black wooden frame and no glass. Some abstracts are mounted but not framed. Artwork is also available matted, but unframed.